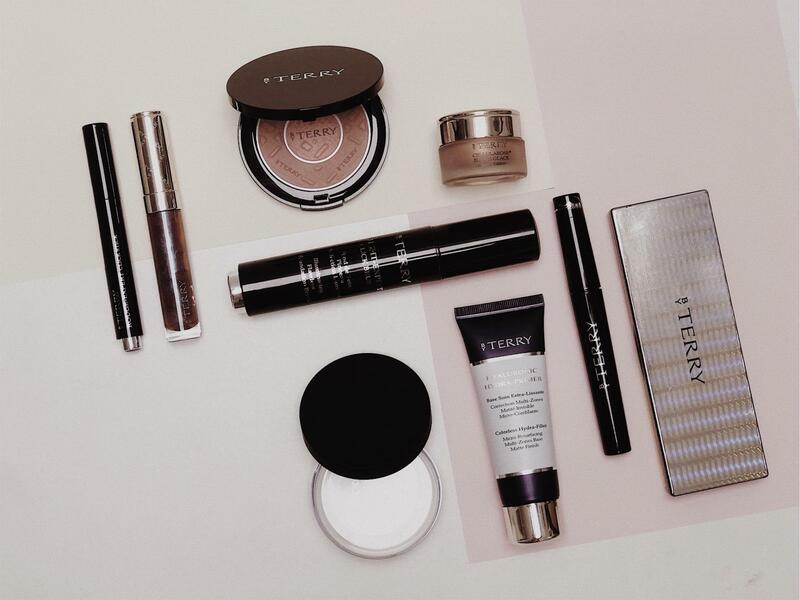 By Terry is undoubtably one of my favourite brands, their products are a firm favourite in both my personal and professional makeup kit. I put together this post to share with you my favourite tips and tricks for the upcoming season, along with all my favourite By Terry pieces. 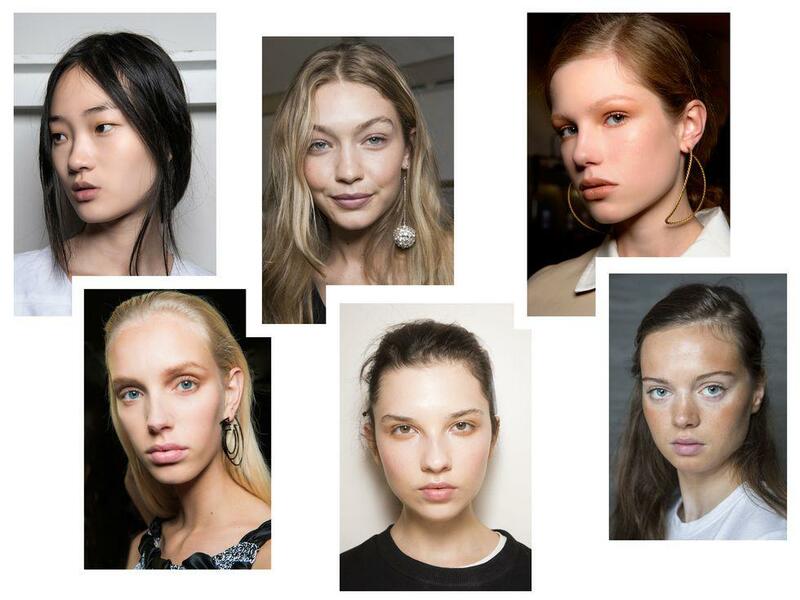 This Spring Summer expect to see glazed skin, colour pop eyes and tea stained shades. My all time favourite skin is one that is glowing, glossy and wet looking, it’s flattering and creates the perfect canvas for any makeup look. 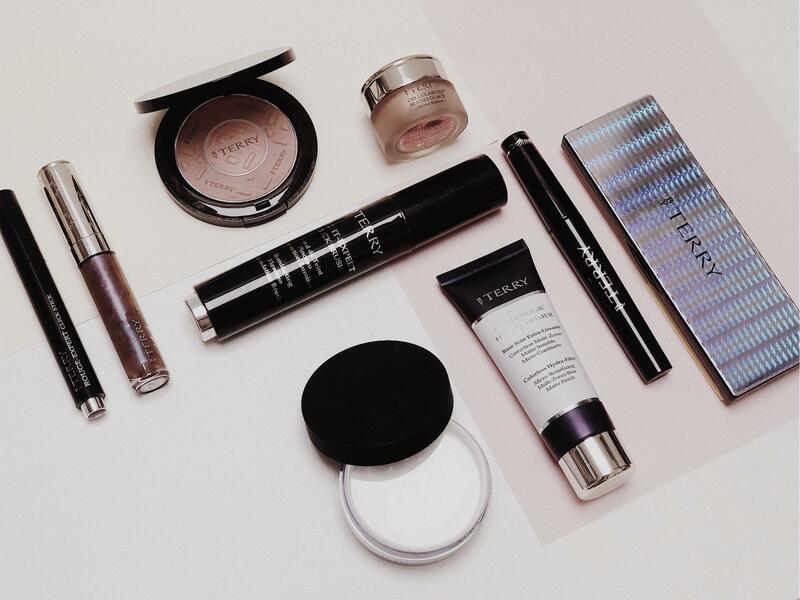 Skincare prep is key for glazed skin; hydration and radiance can be achieved by using my favourite By Terry skincare line, Hydra-Eclat. Their Hydra-Eclat daily care moisturiser is ideal for all skin types, the aqua balm soothes the skin and packs it full of hydration, with anti-pollution properties it creates a gorgeous radiance to the skin. They’ve recently brought out a rich cream version and thats amazing for dry and dehydrated skin types. My go-to product from the range is the Hydra-Eclat mask, it’s extremely thirst-quenching, moisturising and give an instant radiance boost. The [MR+S]* Complex fills the skin with water and is packed full of Black Rose, White Rose, and French Rose which simultaneously protect, illuminate, and soften. Once the skin is prepped ready for makeup I go straight in with my favourite primer, Hyaluronic Hydra Primer*, thats packed full of hyaluronic acid to hydrate and plump the skin, I use this mostly down the T Zone to control oils and balance hydration. During the warmer months I’ll reach for the CC Lumi-Serum in Sunny Flash to give a gorgeous bronzed glow to the complexion. As for foundation I love the Light-Expert Click brush*, it gives a semi-matte finish that has a buildable coverage. It’s also travel friendly so perfect for touch-ups on the go. To get that glazed skin glow, the Cellularose Blush Glace is your go-to, the satiny textured balm quickly blends into the face, creating a wash of pigment and adding radiance. I like to pair this with another pop of colour from the Compact-Expert dual powder* in number 7. To finish the complexion I would recommend a light dusting of the Hyaluronic Hydra powder*, just like the primer it’s packed full of hyaluronic acid to hydrate and soothe the skin. This ultra-lightwietght powder can be used overnight as a last step in your skincare routine also. To create colourful pastel eyes, look no further than the new By Terry Game Lighter Palette in Fun’tasia, it has 5 mix and match vibrant eye-popping colour duos, including bright yellow, aquamarine blue, baby pink, deep violet and gentle green. 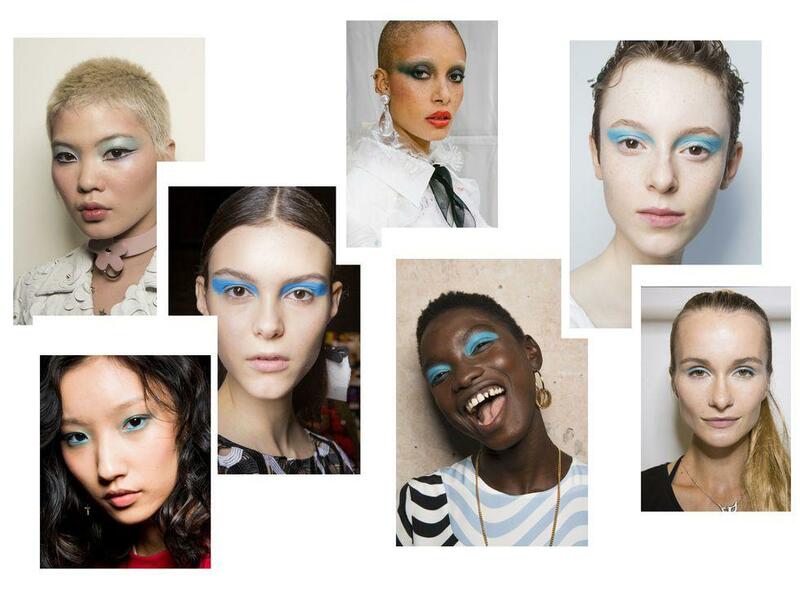 I reach for this palette for a wide range of eye looks, from bright to mellow gold to pops of colour. One mascara that I recommend to everyone is the new Lash-Expert twist brush*, it has a 2-Step Twist custom-brush system, which allows you to customise your look from lengthening to volumizing. It’s enriched with deep black pigments and natural protective oils (jojoba, olive and avocado). My favourite lip combination and one i’ll wear throughout Spring and Summer is Rouge-Expert click brush* in shade 30 and Gloss Terrybly Shine in 3. I am super into wearing gloss at the moment, its makes the skin look super healthy and hydrated. Have you tried anything from By Terry? 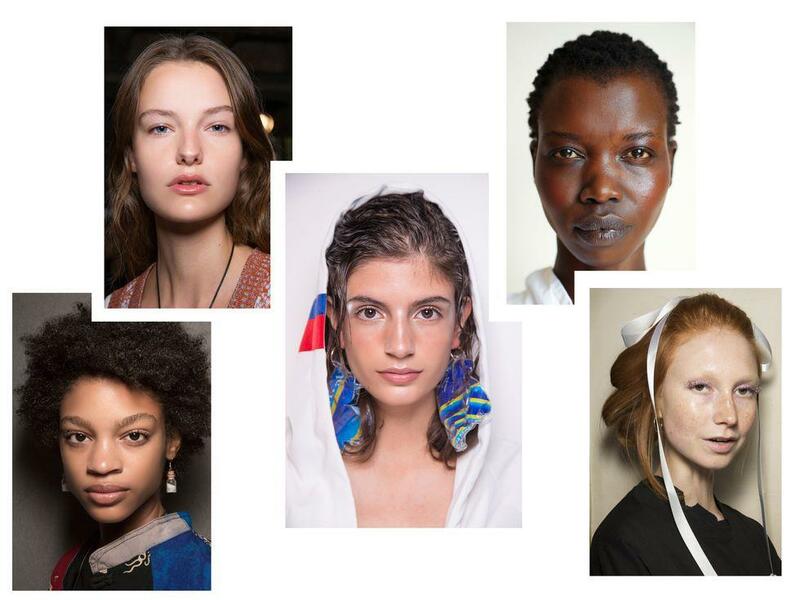 What are you dying to try for SS18? *PR SAMPLE, THIS PRODUCT WAS VERY KINDLY SENT TO ME FOR CONSIDERATION. TO VIEW MY FULL DISCLAIMER CLICK HERE.